Hi The Pinning Mama fans! I am Jen from over at PinkWhen.com. While Kimber is out enjoying her vacation, I am taking over a day on the blog and sharing a fun, family friendly recipe for you that is also healthy. I hope you enjoy it as much as my family does! Do you often have those long days that seem to last FOREVER? I mean, the kind of says where you are working hard all day long, just to finally get home and realize you have to put something on for dinner? If you are organized, you might have your meals planned for the entire week and not have to worry about it. If you are like me, you usually get home and realize….you haven’t thought of dinner. It happens! 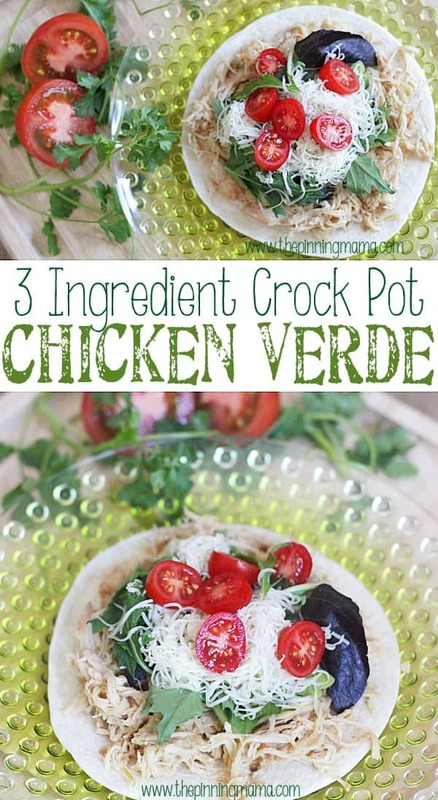 One of my favorite “fixes” for this is my delicious Monterrey Chicken Bake. Not only is it quick, but it’s easy and delicious. It’s also a Gluten Free dish! Heat the oven to 350. 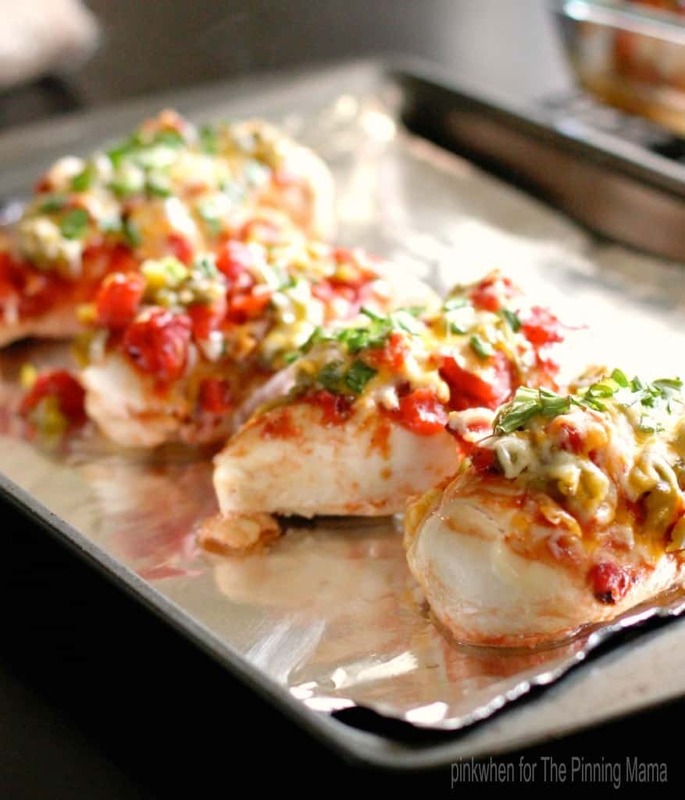 Wash and clean your chicken breasts and then place them in a 9 x 12 glass baking dish. Take the BBQ sauce and a brush and cover the tops of the chicken breasts with the BBQ sauce. Then take the fire roasted tomatoes and cover the chicken breasts as well. Do not drain the tomatoes before, you want the juice and all in the dish. Then grab the green chilies and cover the tops of the chicken breasts. Place in the oven and bake for 45 minutes. 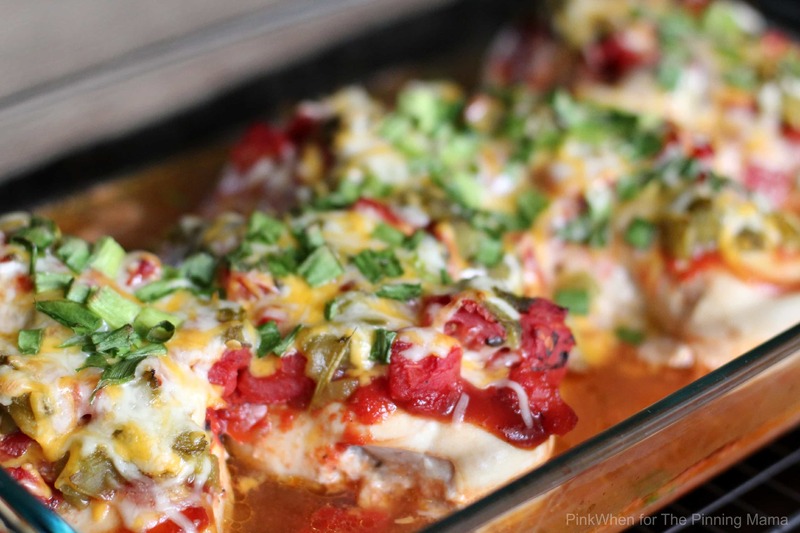 Remove the chicken from the oven and cover with cheese and green onion tops. Bake for an additional 15 minutes. Allow to cool before serving. This is such an amazing dish, and one I love to make. 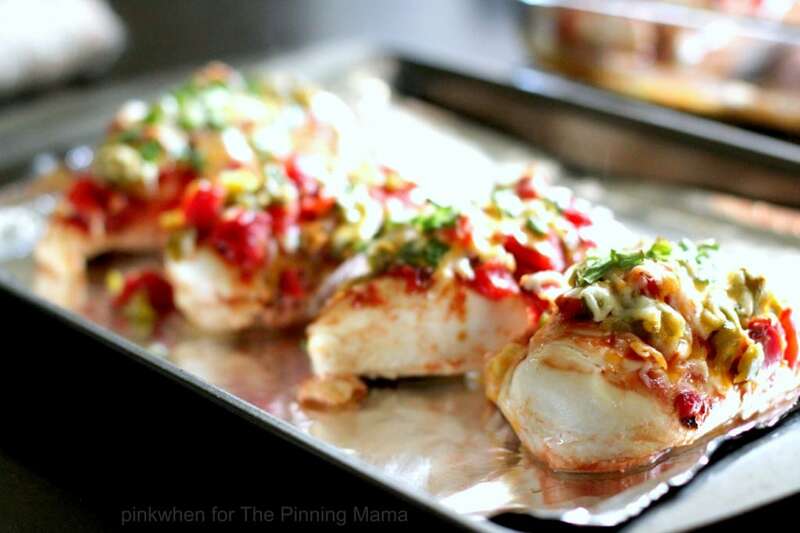 With just a few minutes to prep, it is an easy, healthy, and delicious dinner. 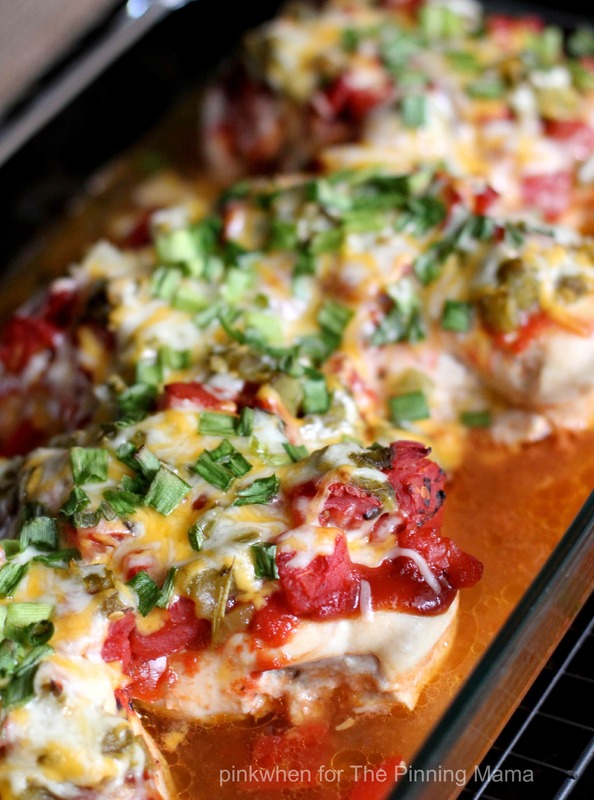 I hope you enjoyed this Monterrey Chicken Bake recipe. 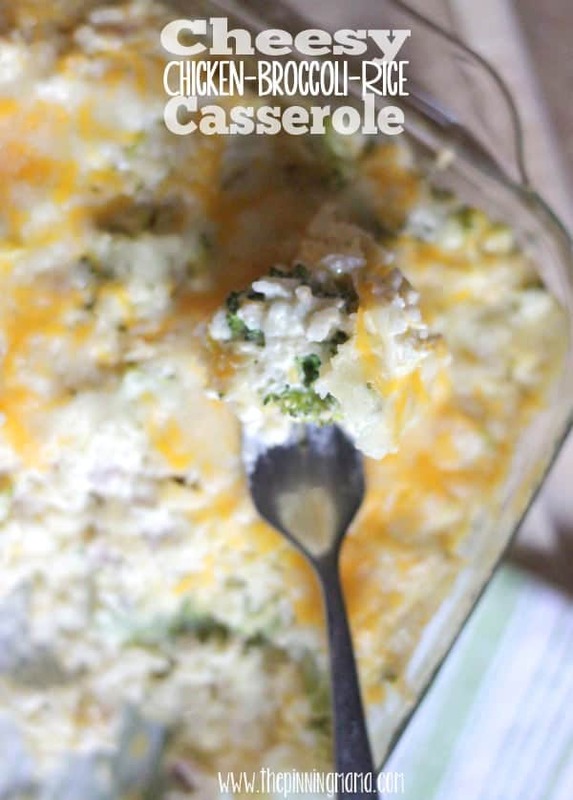 Check out all of our easy chicken bake dinners by clicking the picture below! They take only about 10 minutes to prep and are out of this world delicious! There is one for every taste too! 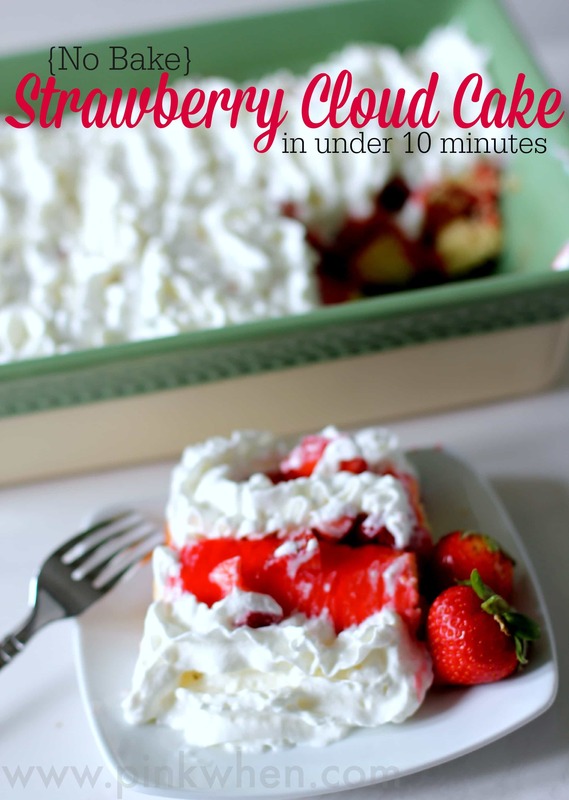 If you are looking for a quick and easy dessert to go with it, you should try this No Bake Strawberry Cloud Cake that takes less than 10 minutes to make. If you love easy and family friendly recipes make sure and follow The Pinning Mama on Pinterest and Facebook! You can see all of our recipes here, or check out some of my favorites by clicking the pictures below! Is this meal spicy at all?